Cryptocurrency is a Wild West world and we need to be very careful to enter it! The following article is a Quick Guide for anybody who wants to get educated on the subject in order to make wise decisions! It will be covering all essential cryptocurrency topics. You can use the table of contents for fast navigation and We invite you to add your comments and record your rating! How Cryptocurrencies Values are Determined? Cryptocurrency is simply a medium of exchange just like your normal everyday regular currency except it exchanges digital information. Its separate units are called “coins” and they are protected through a process known as cryptography that is used to secure its transactions, to control the creation of additional units, and to verify the transfer of assets. Usually government and banks control the supply of currencies through centralized financial systems essentially by “printing” units called fiat currency and this centralized “fiat system” often can be inflationary! whereas cryptocurrencies are are produced based on a protocol at a predetermined, set rate. They are not controlled by one person or organization, and their specifications are not easily altered without consensus on the network. The great thing about cryptocurrencies is that you can send and receive money anywhere in the world at any given time. You don’t have to worry about bank hours, formal permission or any other limitations, therefore it also protects against identity theft. Payments are irreversible and secure, meaning that merchants don’t have to worry about the cost of fraud and the fees involved are usually also low. The first ever-successful cryptocurrency was emerged from the invention of Bitcoin, by Satoshi Nakamoto. This was then followed by the birth of other types of cryto-currencies called Altcoins which are competing against Bitcoin. Bitcoin was the first ever-successful decentralized digital currency and has had time to gain acceptance among both merchants and consumers. It is considered very safe compared to other digital currencies, it has no third parties, and the protocol is open source (i.e. its code is peer-reviewed by a large community of developers). It is also the first digital currency to implement the Blockchain as a core component. From restaurants and coffee shops, to real estate companies and online shops, Bitcoin is now accepted, as a method of payment, by a wide variety of establishments. From a user perspective, Bitcoin is perhaps best described as ‘cash for the Internet’, digital cash, cryptocurrency, an international payment network, the internet of money – but whatever you call it, Bitcoin is a revolution that is changing the way everyone sees and uses money. Satoshi Nakamoto is an anonymous person or group who has successfully found a way to build a decentralized digital cash system. Which means that the network is powered by its users without having any third party, central authority or middleman controlling it. Nakamoto published the invention on October 31, 2008, to the Cryptography Mailing list called metzdowd.com. 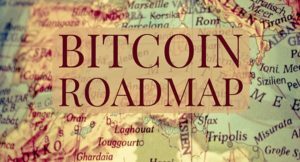 The research paper (whitepaper) is called “Bitcoin: A Peer-to-Peer Electronic Cash System” and describes the road-map for Bitcoin. It was implemented in its first client and released to the open source community in January 2009. The Bitcoin network came into existence on January 3, 2009, with the release of the first Bitcoin software and the issuance of the first bitcoins. 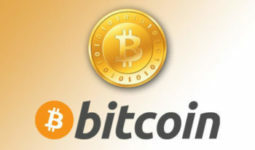 Satoshi Nakamoto continued to collaborate with other developers on the bitcoin software until mid-2010. Around this time, he handed over control of the source code repository to the bitcoin developer Gavin Andresen. Nakamoto also transferred several related domains to various prominent members of the bitcoin community, and then stopped his involvement in the project. Prior to his absence and handover, Satoshi Nakamoto made all modifications to the source code. Cryptocurrency emission or production process is called mining. This mining could be done by anyone on the condition that he provides enough processing power. This hardware power is used to solve sophisticated mathematical tasks and such mathematical calculations results will create and attributes new coins, forever saved into the Blockchain. 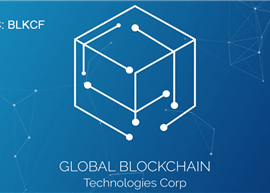 Blockchain is a global decentralized database (ledger), protected by a special cryptographic algorithm. The word “Cryptography”, which refers to the consensus-keeping process secured by strong cryptography, consist on managing and maintaining a growing set of data blocks using the decentralized, known as Peer to Peer, Network. To put it in simpler terms, it enables you to send a gold coin via email! As an example Cryptocurrency like Bitcoin consists of its own network of peers. Every peer has a record of the complete history of all transactions as well as the balance of every account. By the end of every transaction and upon confirmation, the transaction is known almost immediately by the whole network. Confirmation is everything! it is a critical stage in the cryptocurrency system. When the transaction is not confirmed, it has the possibility of being hacked and forged. When a transaction is confirmed, it is set in stone. A transaction includes a process where A gives X amount of Bitcoins to B, and is signed by A’s private key. 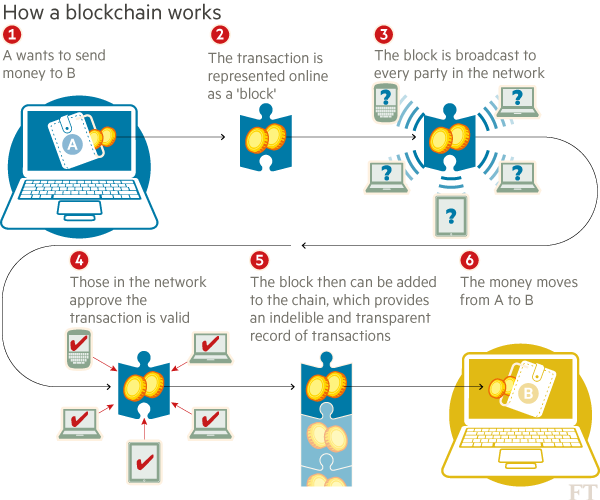 After signed, a transaction is broadcasted in the network. The information is sent from one peer to every other peer on the network. 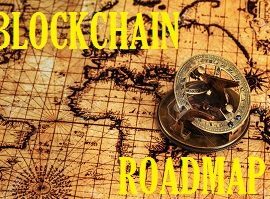 It can’t be reversed, impossible to be hacked and it is not forgeable as it is part of a permanent record of the historical transaction called The Blockchain. The blockchain can be compared to an online ledger, where all transactions are recorded and made visible to the whole network. This comes to show that cryptocurrencies are not secured by people or trust, but rather by complex mathematical equations. Only MINERS are able to confirm a transaction. They record transactions, verify them and disperse the transaction information in the network. For every completed transaction monitored and facilitated by the miners, they are rewarded with a token of cryptocurrency, for instance with Bitcoins. Anyone can be a miner but the actual high level of computational complexity makes miners to unite into pools to mine coins together and then divide them between pool participants (The share depends on the processing power each miner had provided). More information about Pool Mining will be subject of a separate article. All coins that have ever been mined are stored in special cryptocurrency wallets. 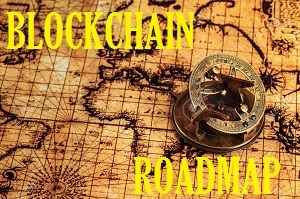 The information of their content is also protected from any unauthorized changes thanks to the blockchain technology. An “Internal” Token : It can be only internally purchased in its system or environment to be used withing this environment then cashed out when exit that system. This purchase is done with a third party currency (fiat or cryptocurrency). Prove of work coin: A coin that is mined by a third party at a profit, have high value so highly desirable; it’s a business in box especially for exchanges. Up to the date of this article, there are only 10 of them and as example: BTC, LTC (Excellent), Menero (Excellent)), BTC cash (is Ok: Minerable but no good back office, wallets,..), BTC Gold (Useless: No longuer Minerable, Problems on blockchain). Algorithm based coin: Called also Prove of service coin, it is Not mined by a third party so stable with low value. That means it will never be at $500; $1,000+,.. An example of that is ripple which is now $1.40 and if lucky will max $5-6. 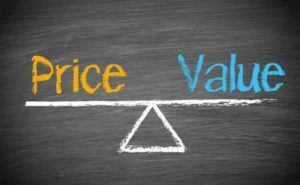 The values of cryptocurrencies are dependent on the market and, like any other products, its price is dependent on demand and supply. More units are mined by miners to balance the flow. However, most currencies limit the supply of their tokens. For instance the total amount of Bitcoin issued is only 21 million. Therefore Bitcoin’s supply will decrease in time and will reach its final number by 2140. It also explains why Bitcoin’s value is higher as compared to other cryptocurrencies. Cryptocurrencies can be spent for different purposes and the best part is, all transactions are completed online! 1. Bitcoin Trading: This is very profitable for both professionals and beginners. 2. 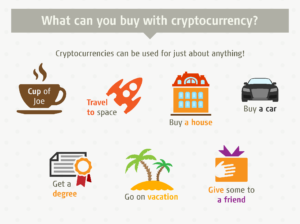 Personal Spending: You can pay for services and purchase almost anything with Bitcoin! 3. Crowd Funding: You have complete control over donation to society or to fund projects worldwide. a) Potentially an investment vehicle, which may garner massive returns as Cryptocurrency transaction is fast and global without take into account your physical location. b) The monetary properties. The currencies are in controlled supply thus there is a high chance that the value of the currencies appreciates over time. c) the revolutionary property. 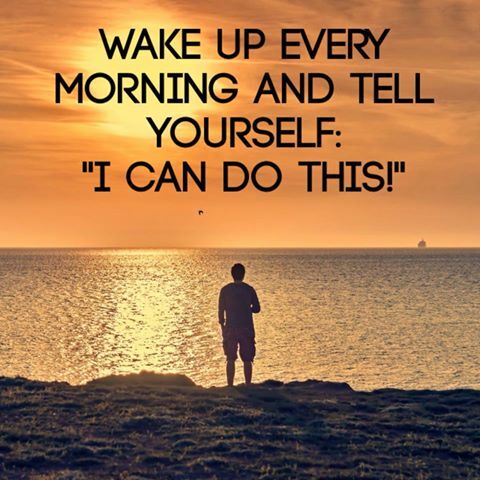 You have more control of what is going on in your account and how the system works and operate. This is due to the decentralized network of peers which keeps a consensus on account balances and the transactions made. As compared to your physical bank account, which can be changed and controlled by people you don’t see and governed by rules you don’t even know? We hope this article helped you understand Cryptocurrency! You can also find share on Social Network. Who’s in the race to first place in Blockchain area? Admin November 5, 2017 March 6, 2018 Crypto-World!